The new year is the perfect time of year to change things up. It just makes sense- new year, a fresh start. While I didn't make any resolutions, I did make a few little changes to be a better me. Change can be scary, no doubt, but it can also be stupidly easy. And really, who doesn't like stupidly easy? One of my little changes is in the style department as I've added a new pair of glasses from GlassesShop.com into the mix. Read on for a closer look! If I'm not sleeping or applying makeup or something skincare related, then I'm wearing my glasses. Because of this, I like to be able to change them up. However, having a few different frames to choose from can get expensive... Actually, it's the lenses that get you, but whatever, all total, glasses are not cheap, which is why I've come to love online optical sites- like GlassesShop.com. They have a huge selection of frames in various styles and colours. I love that there are colourful options available! Black and tortoise are gorgeous, but sometimes you need a bit of colour. 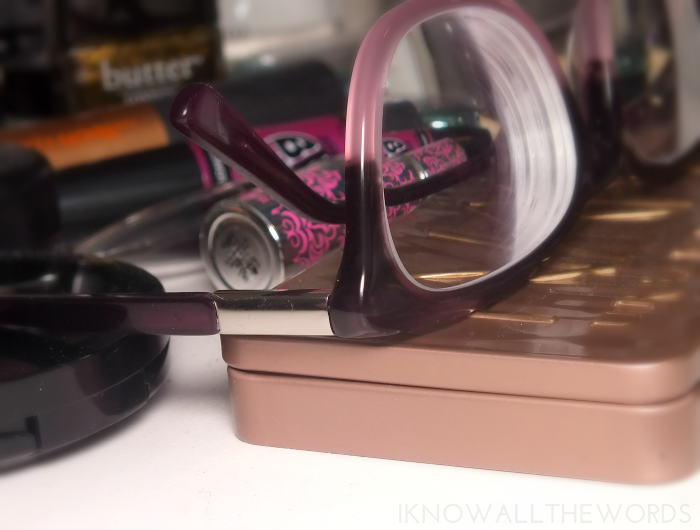 As you can see, I went with a colourful option with the two-toned purple-pink Olivia frames. Olivia has a fairly classic Wayfarer type shape with just a hint of a cat eye flare. 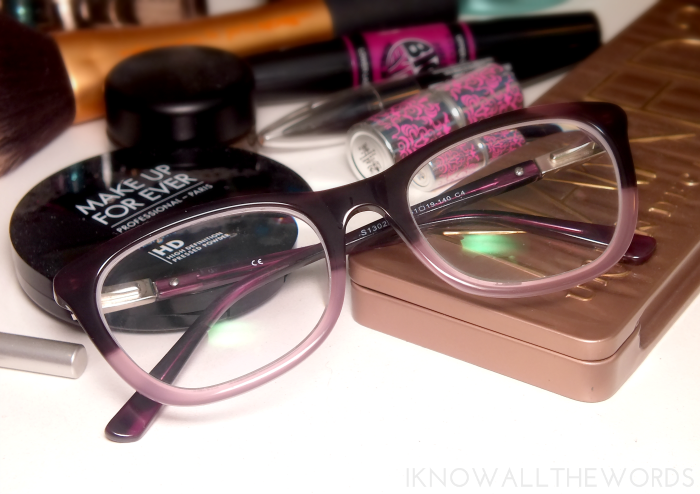 The dark upper and lighter lower is also a nod to a classic frame, but the purple-pink hues give the frames a trendy, feminine twist. The arms of the frames also have a small silver band, just near the temples for a little bit of added interest. 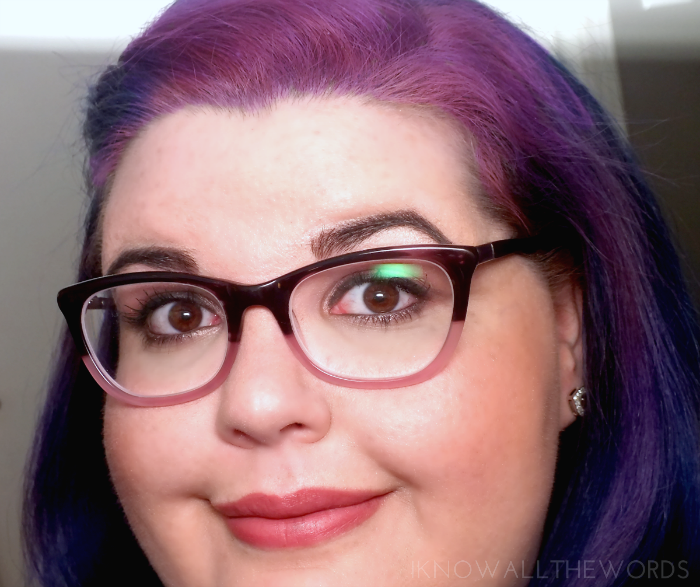 While these frames are a tad bigger than any of the other frames I have in my collection, I find they're very comfortable on and aren't heavy feeling- even with my strong prescription- but also have a nice weight that makes them feel like they'll be sturdy for the long haul. Ordering from GlassesShop.com is as easy as shopping from any other site. All you need is your prescription and you're good to go. The hardest part is choosing a style. Customer service is great- I had an issue with my prescription and they were amazing in dealing with it and seeing that I got what I needed. Once shipped, glasses arrive carefully packed in a hard, plastic case with a handy cleansing cloth. 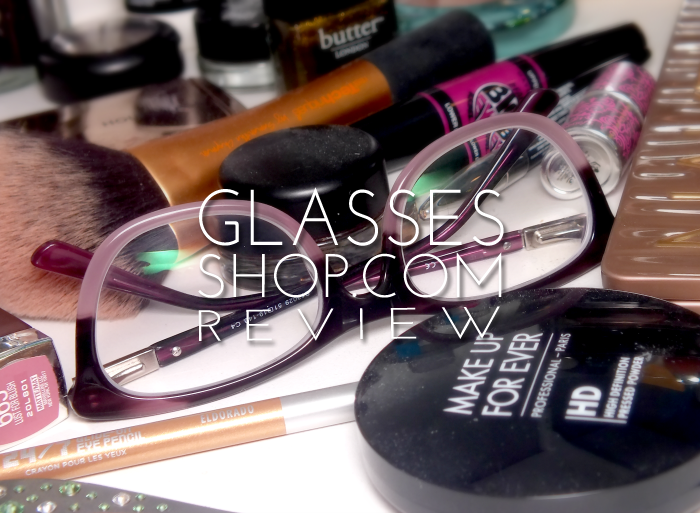 Overall, I am a super pleased with both my new glasses and GlassesShop.com! GlassesShop.com has provided a custom code for I Know all the Words readers- get 20% with the code BAILEY20. They're also offering 45% off with the code Y2B45. Did you make any resolutions this year? Do you wear glasses? Ever ordered them online? CLOSED Paypal Cash Giveaway | Win $160!